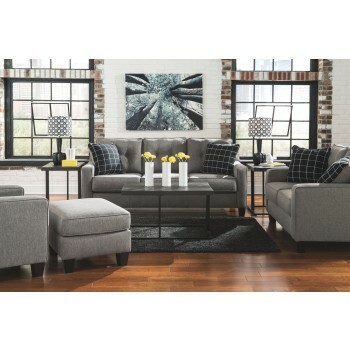 With its crisp, clean lines, boxed cushions and classic button tufting, this sofa sleeper might be inspired by mid-century style, but it’s crafted for comfortably cool modern living. Chic refinements include sloped track arms and a softly textured microfiber upholstery with a luxe look and fabulous feel. Easy-lift queen innerspring mattress comfortably accommodates overnight guests.